I have finished a first draft of a short book (60 pages) to be published online on the topic of Agile Work. It is all about applying agile methods to non-software environments. I am looking for two or three people who would be willing to review the draft. If you are interested, you need to be able to commit the time for this week to read it and provide feedback. You should also have tried applying agile methods in a non-software environment (anything will do). 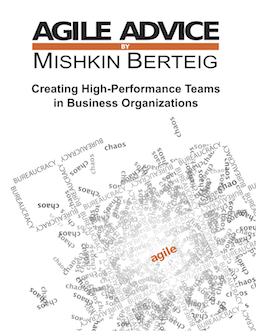 Please email me at mishkin at berteig consulting dot com if you are interested in doing this.